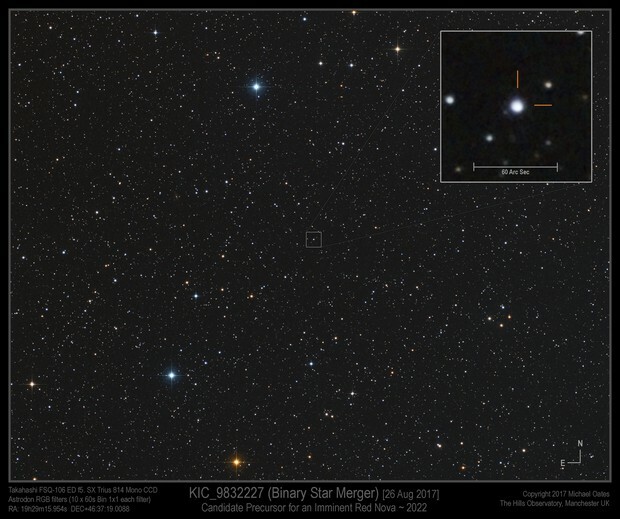 KIC_9832227 is a contact binary where the stars orbit so close together, they kiss. They can even share a common outer atmosphere, like two peanuts inside their mutual dumbbell shell. I took this on 26 Aug 2017 so I had an image before the Nova.